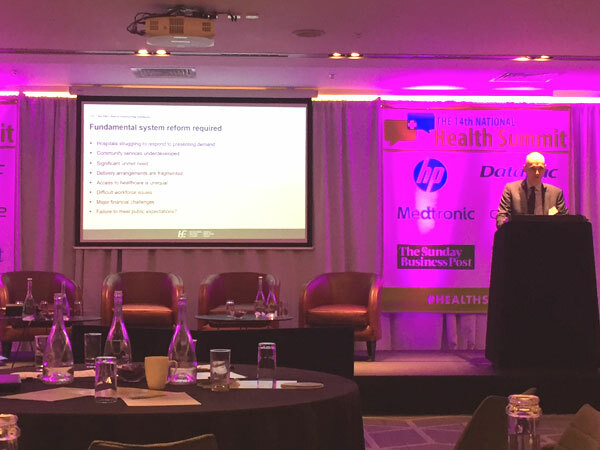 The 14th National Health summit provided Swiftqueue with a platform to demonstrate how we support the required change in the model of healthcare care delivery. Dean Sullivan DDG and head of Strategy at the HSE presented the fact that “meeting the expected demands of a growing and aging population, with finite resources to expend on healthcare, required a new approach and a different healthcare model”. 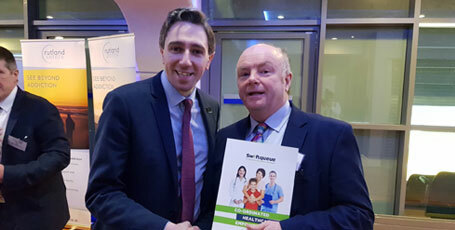 The new approach must facilitate preventative care and post operative care in the home as well as providing greater efficiencies for managing the patient journey through all health engagements. Healthcare can utilise the modern technologies that we use to support our daily lives in banking, entertainment and shopping. Such facilities can add greater efficiency to healthcare and ease the burden on patients at difficult times in their lives.